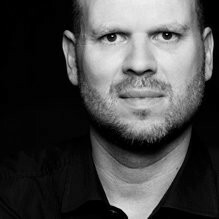 Every month Oliver Dietrich, Director of Creative Ideation P7S1, offers his feedback on recent marketing campaigns and what start-ups can learn. What with this sunny November weather he didn’t want to look at Christmas campaigns yet, but they are everywhere already. Christmas is only a few weeks away after all. At first glance there looks to be lots of moving spots this year, many cuddly and schmaltzy storytelling ads. There are exceptions though, like this Christmas ad from TK Maxx that shows it can be done differently: surprisingly, humorously and with that little bit of something special. #1 Christmas can be used for your brand advertising; just don’t forget to communicate your USP. #2 Christmas time is TV spot time. You need to stand out from the crowd but in doing so remain authentic. #3 At Christmas time brands need to strike the right balance between presenting an original idea and also retaining a festive theme in their advertising. TK Maxx, pioneer among off-price stores, is continuing their expansion course into Europe. The giant American retail veteran – called TJ Maxx over there - is increasingly using TV advertising to establish its bargains-throughout-the-year philosophy, extremely successful in the USA, in order to grow faster with reach. This is the thing about Christmas ads: a brand tells a highly emotional story, everyone is highly moved and cries a little, but for the brand or product it does nothing. Often people don’t even remember the brand as a result. The ad achieves in advertising something – but often that thing is only Christmas. Therefore, the goal is to have Christmas as a central theme of course, but also communicate the brand, the products and what makes them special in a combination that makes them memorable. A real challenge in the sweet, contemplative world of the Christmas TV spot. Different. And unbelievably well done. A customer discovers a gigantic never-ending Christmas stocking at a TK Maxx store and takes it home for Christmas. The stocking causes great joy by burping a gift into the face of each family member. But at the stroke of midnight on Boxing Day it's over with the burping festivities: the stocking disappears into ET-inspired heaven. The question remains: what if such gifts were available every day? If it all sounds perfectly normal, then take a quick look at the spot. Because it’s about entertaining and delighting using the Christmas theme but at the same time clearly communicating the brand’s USP. And all that with a gigantic Christmas stocking that burps gifts. Watch and enjoy.